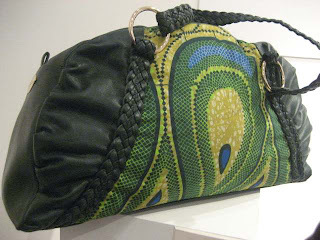 Farrah Delaunay unveiled her first handbag collection, Bambou, at the Edward Tyler Nahem Art Gallery on May 20th, 2009. Delaunay highlights her heritage by incorporating West African indigo-resist dyed fabrics, resulting in colorful lambskin leather handbags. The line includes clutch, hobo, bourse weekender, carry all and beach styles. 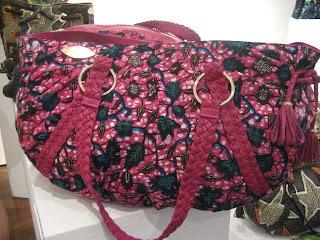 The bags feature braided handles, bold colors and prints in bright green, brown navy, pink, white and beige. The collection including the Dakar, the Kampala, the Lagos, the Casablanca and the Brazaville will be available at department stores and boutiques nationwide, retailing from $360 to $950.